Grant Leboff: Damian, I think one of the things that business people are very familiar with is the idea of goal setting, you know setting the right targets and goals for yourself. I’m not sure how good business leaders sometimes are at doing that, but it’s sort of drummed into them, the importance of making sure they do that. You give a great example in the book, when you talk about goal setting, with Manchester United at Wigan in 2008, when they won the title. Perhaps you could embellish that and tell us a bit more about it? 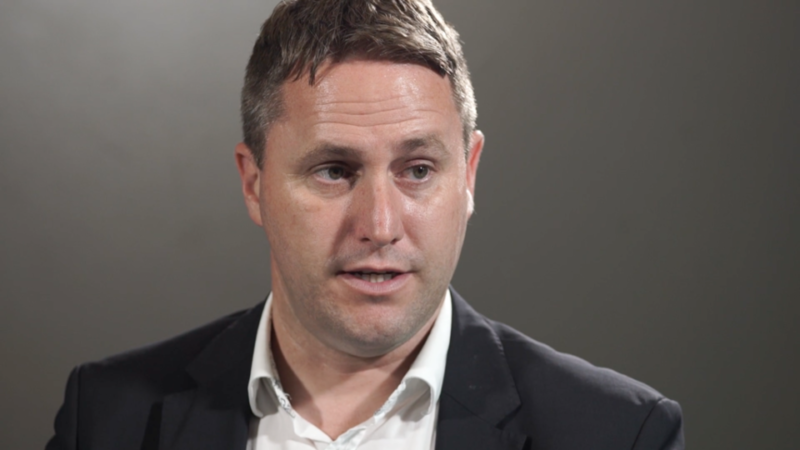 Damian Hughes: When we talk about goal setting, there’s effectively 3 different types. What I think most business do is focus on 2 of those types really well and ignore the third. Ferguson was great at allocating his time and resources to all 3 of them. The first type of goal setting we talk about is ‘outcome goals’, where it’s almost like – in very emotive terms – what do you want? Very early on in his career at United, in 1986, Ferguson set an outcome goal for Manchester United to be categorised as one of Europe’s giants. He went to Barcelona to go sign Mark Hughes. He said he looked at the resources and the status that club had in Spain and realized that Manchester United, which had endured a 26 year drought of winning the title, were nowhere near it. So he set that ambition of being categorised as one of Europe’s elite. In fact, when he actually retired, he described his greatest achievement was the training ground that he bequeathed the club. Because he felt that that was Europe’s finest training ground. He felt that that spoke to that outcome goal. The ‘performance goal’, which is where I think most business leaders focus about, is the stats and facts and figures. Ferguson is famous for talking about how one of his achievements was knocking Liverpool off their perch. What he meant by that was Liverpool held the record of 19 league titles and he felt Manchester United had to surpass Liverpool to be genuinely categorised. So he always have that figure of going past Liverpool’s targets, which is the performance stuff. It’s the process stuff that, again, is fascinating that really links to the Wigan Athletic performance in 2008. Because, United were going to win 19 titles and bring them even with Liverpool. So his focus could have been, very easily, on being on the performance target. Or, they were playing Chelsea in the 2008 European Club Final the week after, so he could have been focused on the outcome goal. But, at that moment, Ferguson was just focused on the small things and United were winning 1-0 in quite a tight game, when Ferguson noticed that Wigan’s centre forward, Emile Heskey, went close with a header. Now, most people just merely focused on the fact that Edwin Van Der Sar, the goal keeper, had saved it. Ferguson paid attention to Emile Heskey punched the turf in frustration after the chance had been missed, and Ferguson noticed that the turf seemed to give away quite easily, which indicated that, because of the rain, the pitch was starting to cut up and, therefore, he recognised that he could make an important change in the game, bringing Ryan Giggs on and his pace would suddenly present Wigan with a real problem. So he made that decision very quickly, but within 10 minutes of the decision, Ryan Giggs would come on and scored the winning and decisive goal that meant that Manchester United won their 19th league title, came level with Liverpool in performance targets and then establish themselves as being Europe’s elite, by then going on to winning the European Cup just a week later from that. Grant Leboff: It’s a great lesson because it’s about focusing on the right targets, isn’t it? Sometimes focusing on about things you can control in the moment. Sometimes we’re so focused on something else, we miss the things we can control. You give a great example of Ferguson not doing. You’ve painted a really great picture of how he set goals, and we’ve got these 3 different types of goals. I wonder how many business leaders differentiate between those different types of goals, rather than just have their thing called goals. 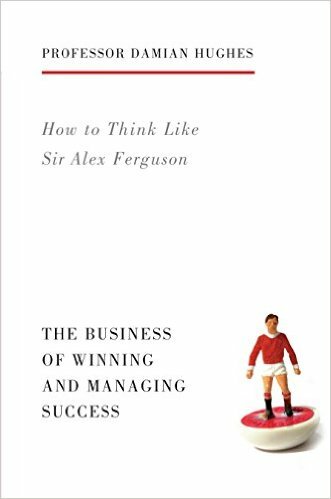 Are there any other techniques that Sir Alex used to really make sure that he achieved some of those outcomes, those goals? Damian Hughes: Yes. He would often get players to buy into that very principle. Let’s remember that it took him four and a half years to win the first trophy at the club, when a lot of people were really calling for his head and people felt that there were a lot of excuses and the club was almost stagnant. You could see no visible signs of progress. Now, when you speak to any of the people that were behind the decision making process to retain faith with Ferguson, the reason they did so was because of his focus on the process goals. That even though the performance wasn’t shifted, they felt that the pillars that he was building, for example; investing in the youth set up and bringing the likes of Ryan Giggs through at a young age. His focused on the discipline of the team and stopping what had become known as a drinking culture developing there. He felt like the fitness of his players, they felt that he was bringing in new tactical innovations were all great small goals that would, eventually, if they kept faith with him, manifest itself in the performance and the outcome targets. Again, it goes back to the trials we spoke about. When under pressure, control the controllables. Focus on the things that you can do something about, which is what he did. Grant Leboff: It’s also, having the longer term goals, the medium term goals, but also the short steps and understanding what those steps are to get you there. Damian Hughes: Yeah. Exactly. As you say, a lot of businesses can be focused on the next challenge, the next challenge. When actually, sometimes we need to have realistic shorter term challenges that give us a sign of our progress and that we’re moving in the right direction.